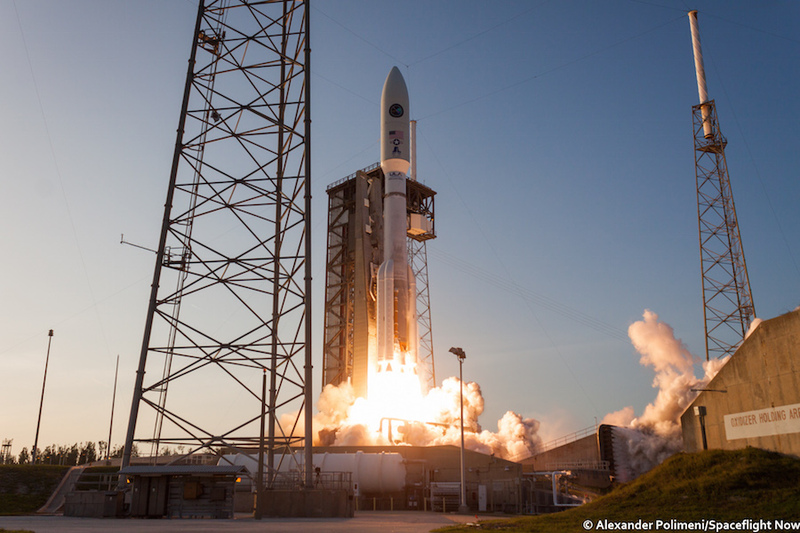 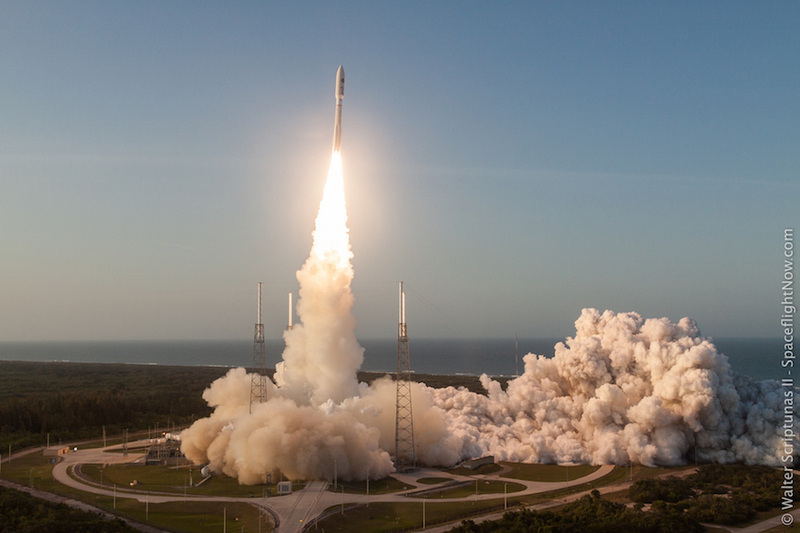 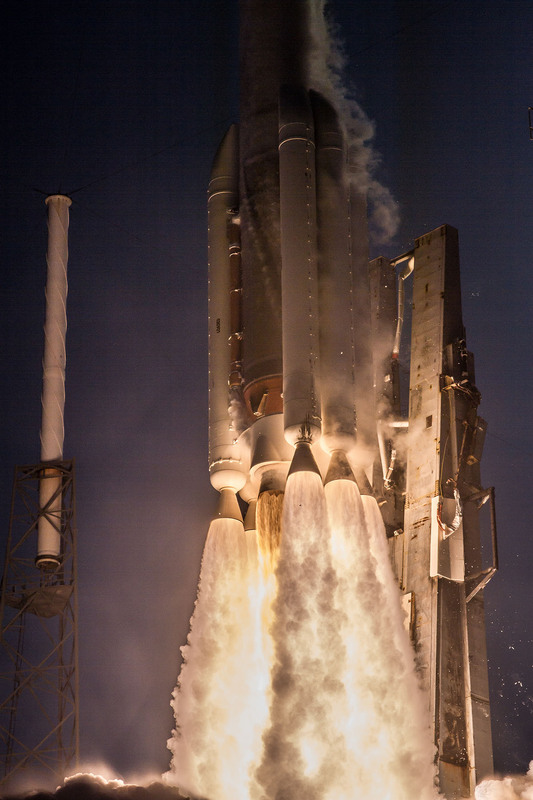 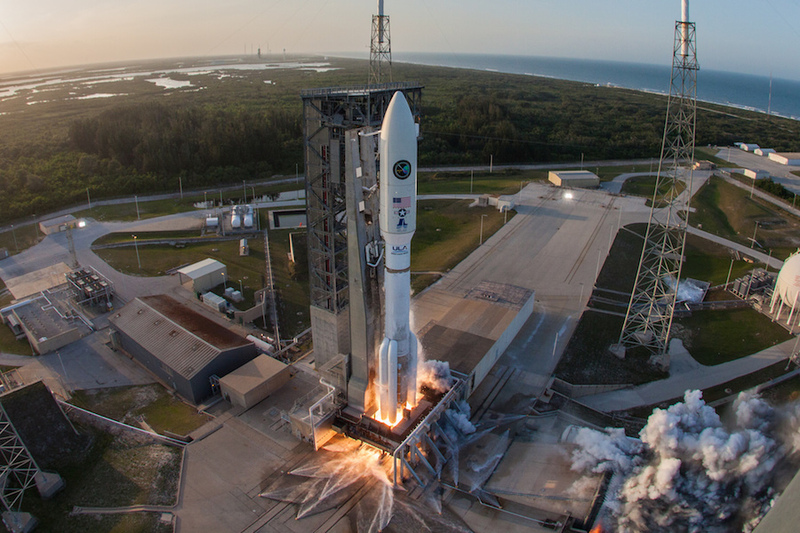 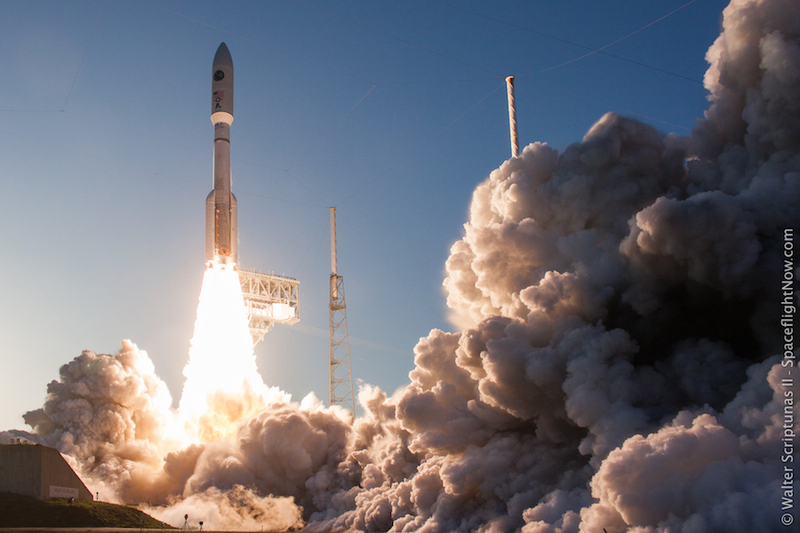 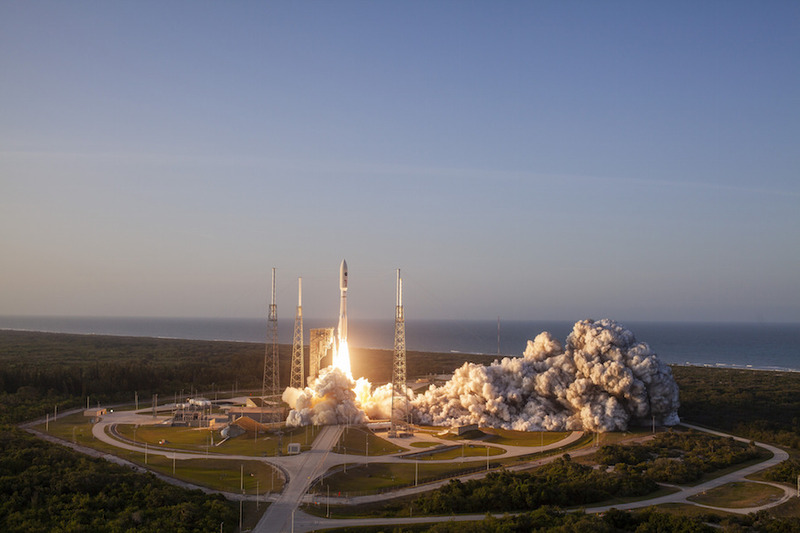 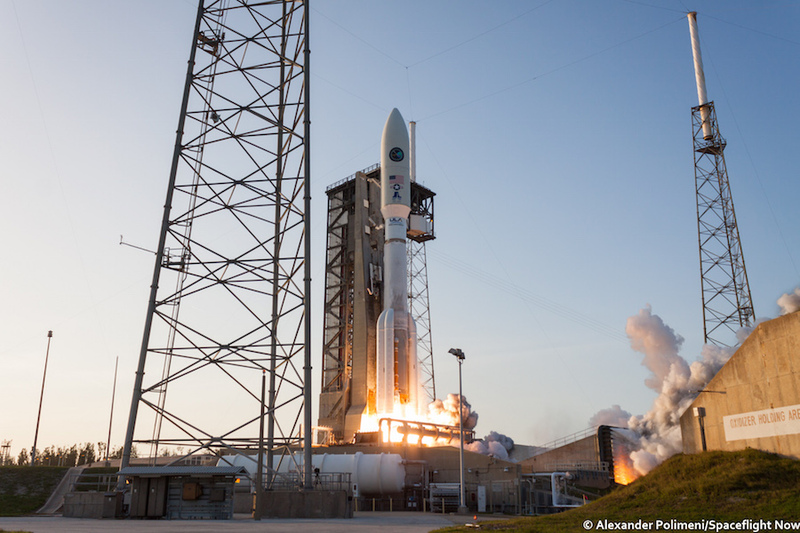 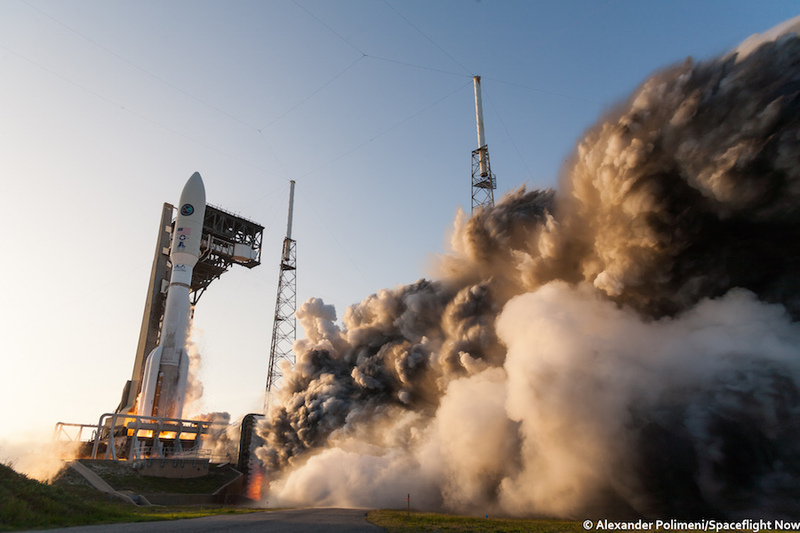 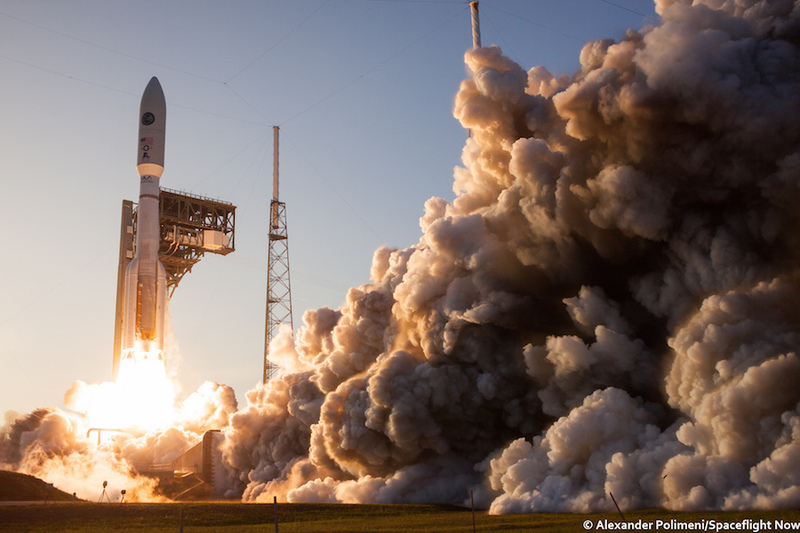 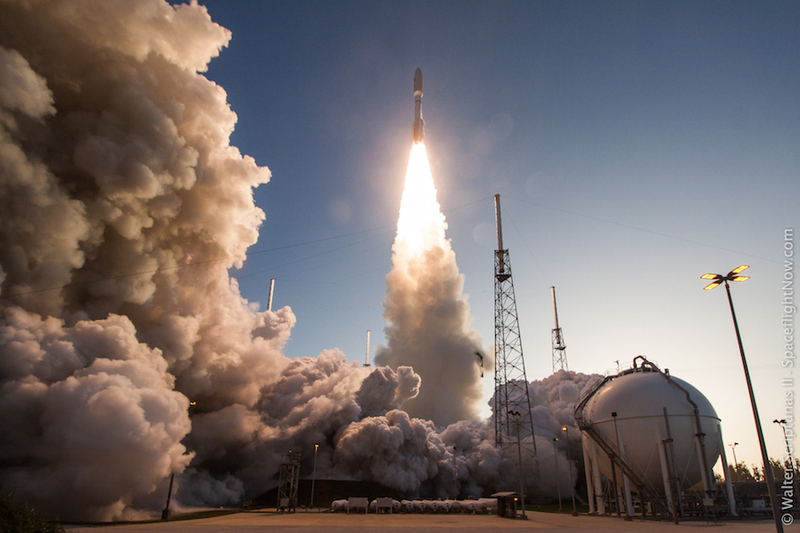 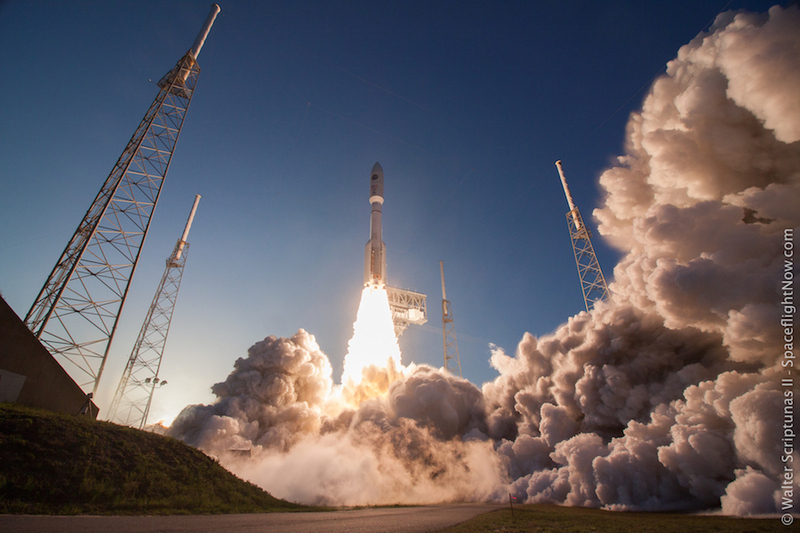 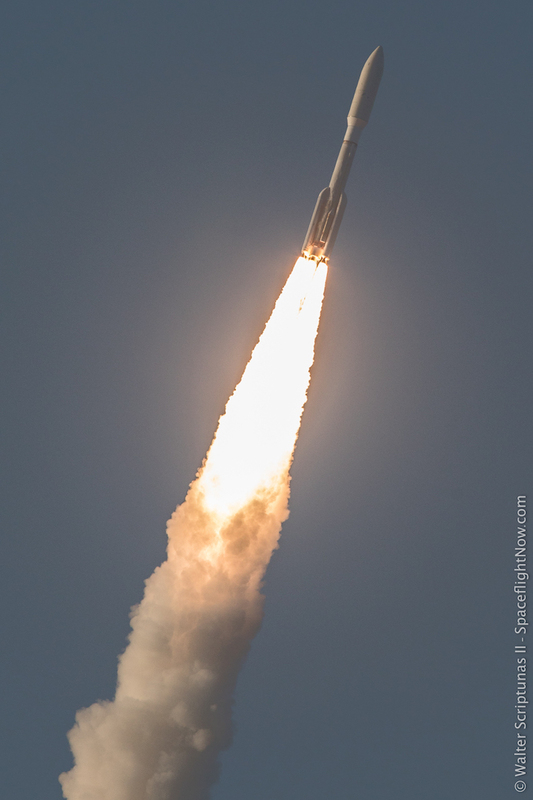 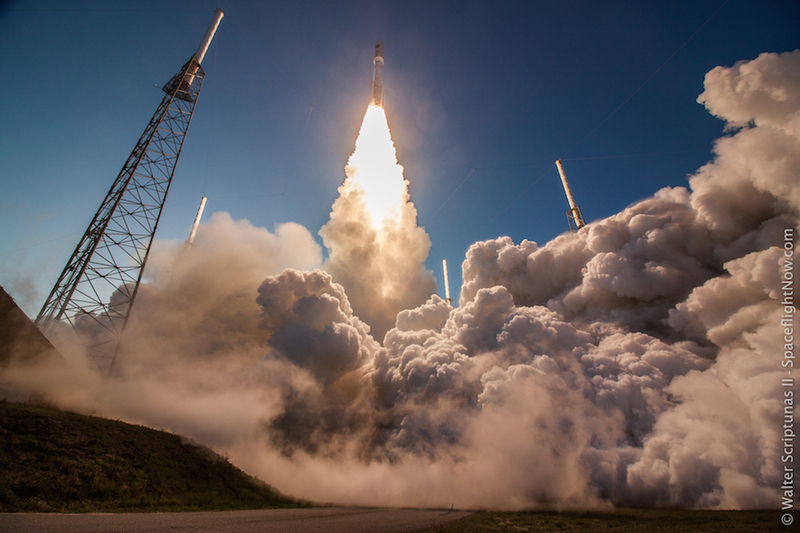 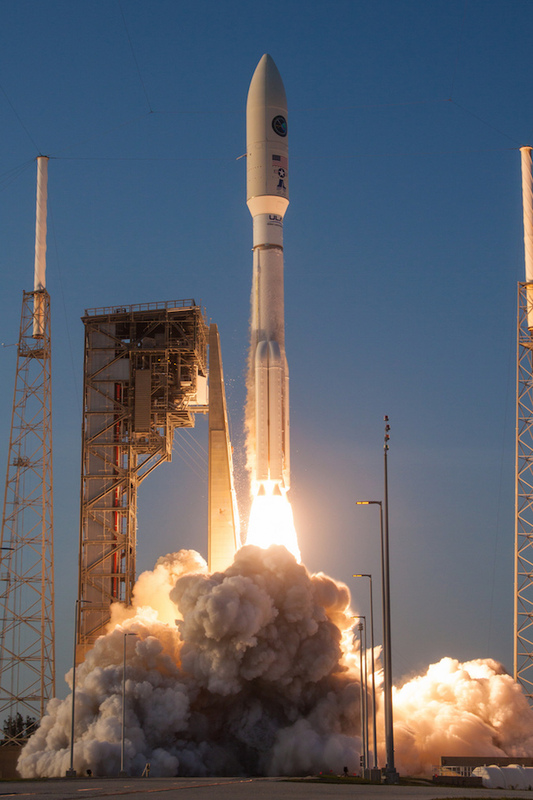 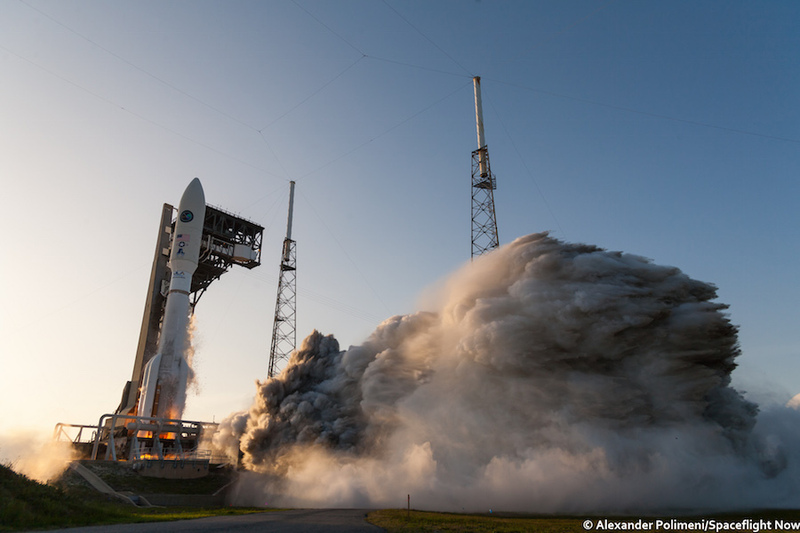 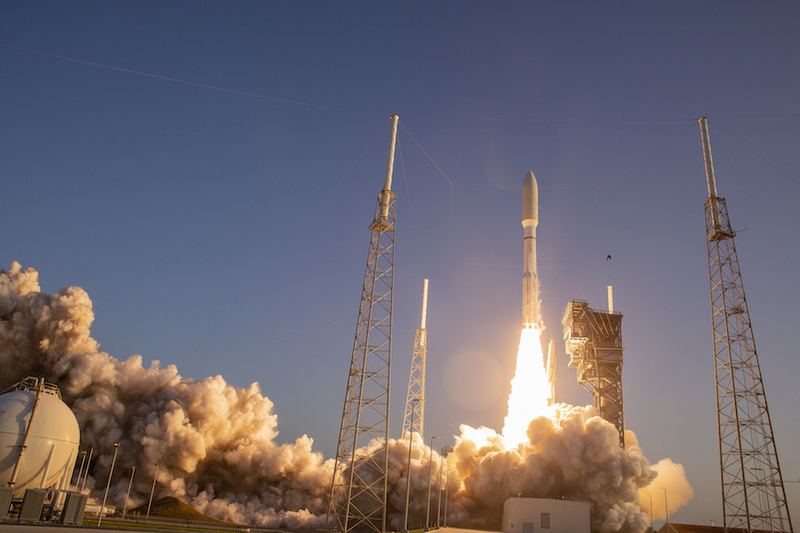 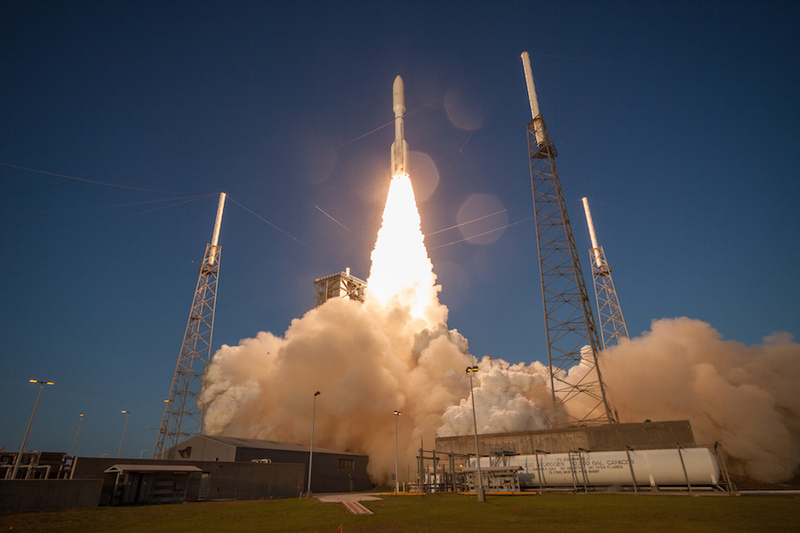 The 197-foot-tall (60-meter) rocket, boosted by an RD-180 main engine and five strap-on solid rocket motors, lifted off at 7:13 p.m. EDT (2313 GMT) on April 14 from Cape Canaveral’s Complex 41 launch pad. 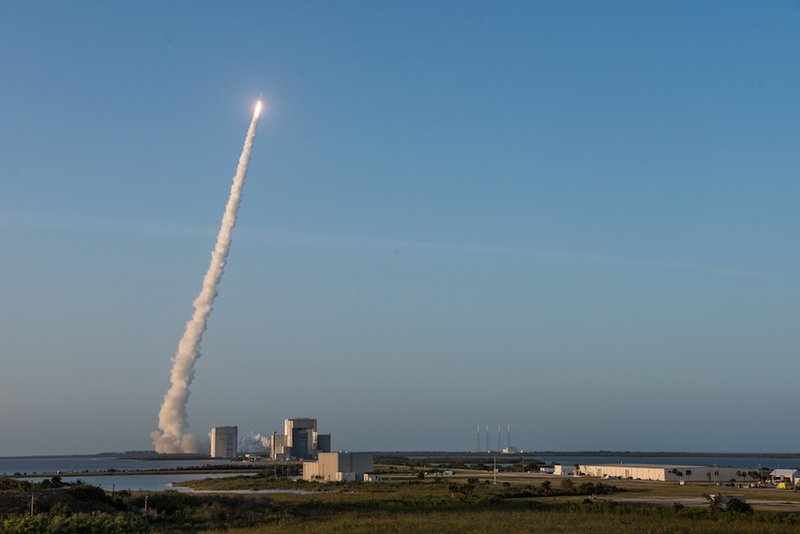 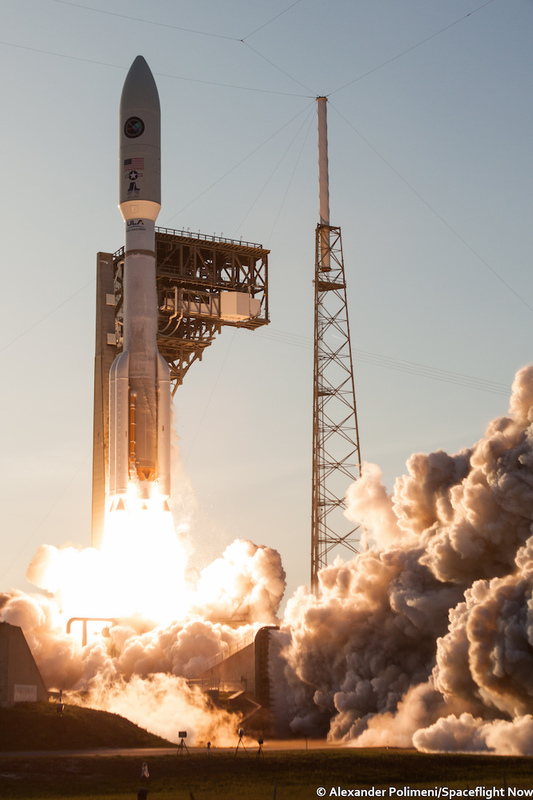 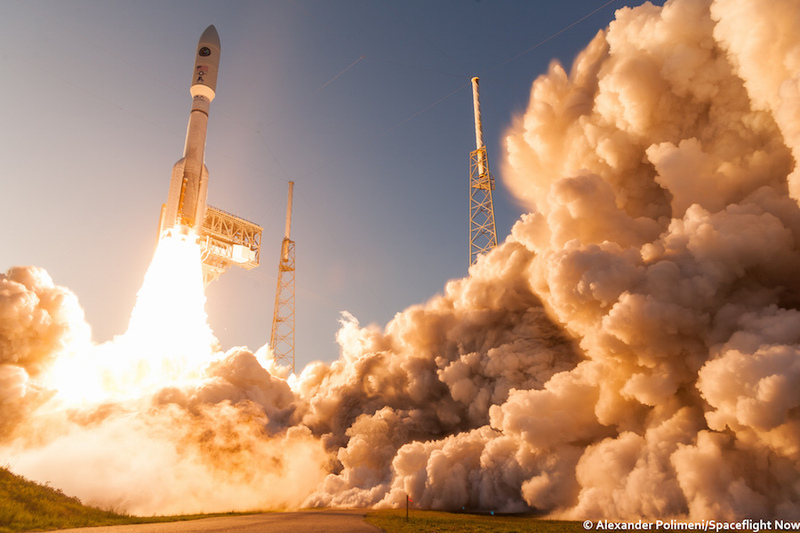 These images show the Atlas 5 rocket climbing away from the launch pad, heading east over the Atlantic Ocean on a mission the Air Force codenamed AFSPC 11. 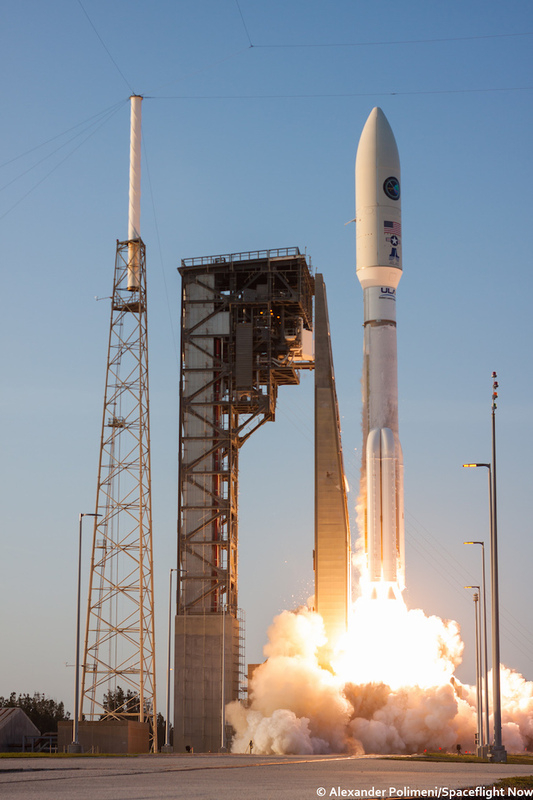 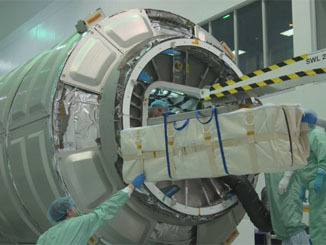 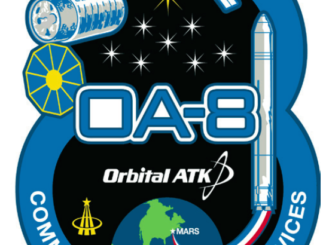 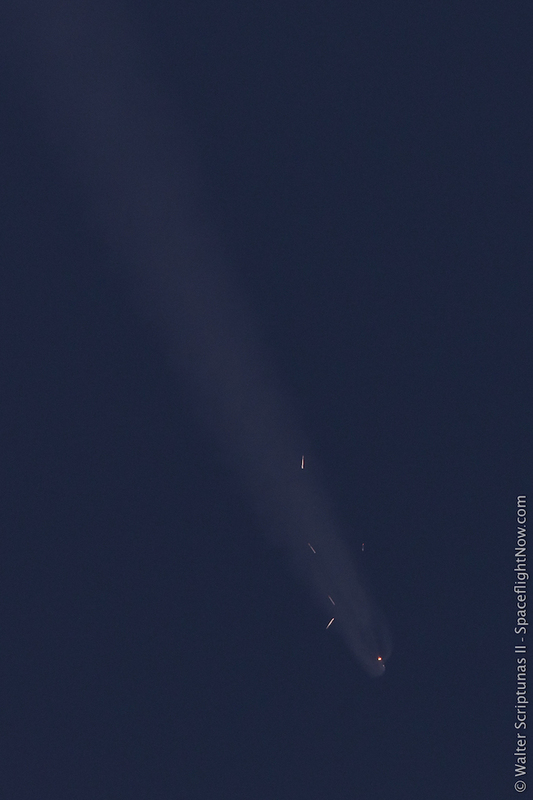 It carried a military communications satellite and a tech demo experiment carrier into geostationary orbit.